For lower volume production the Fortex Dry Film Sheet Laminator will enable you to apply Dry Film Photo-Resist sheets to a wide range of substrates including FR4, Silver, Steel, Brass and Aluminium for Chemical Milling Etching Applications and Printed Circuit board production. Order Code: FL-0304-01. 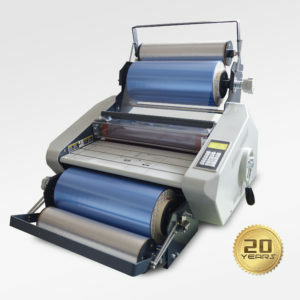 Category: Dry Film Laminators. Tags: Dry Film Photoresist, Dry Film Sheet Lmainator. 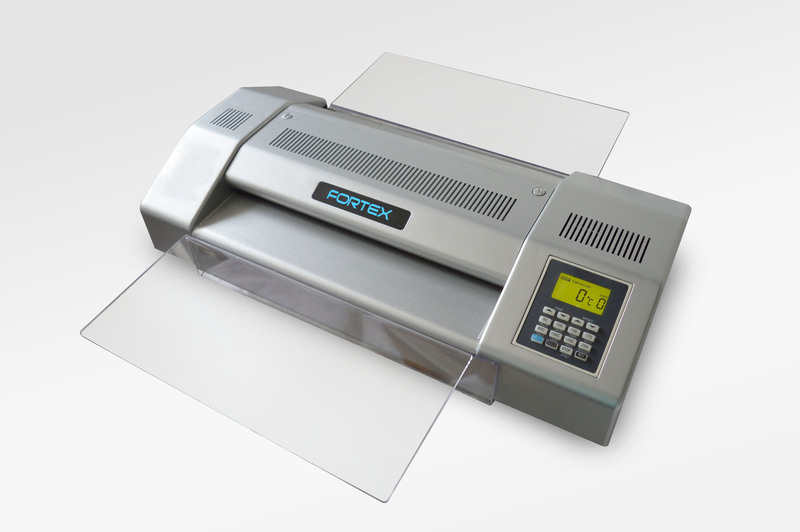 The Fortex 304 Dry Film Sheet Laminator is designed to allow the lamination of Dry Film Photo resist sheets to a wide range of substrate materials including PCB copper laminates, flexible laminates, Ceramic Wafers, stainless steel, Brass, Silver etc. 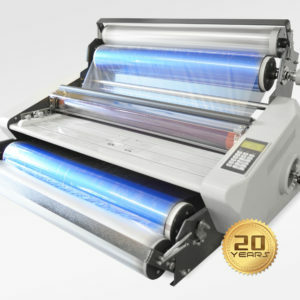 This Dry Film sheet Laminator offers a cost effective alternative to the Double Sided Dry Film roll Laminators. One side of the substrate material can be laminated at a time. The machine will effortlessly laminate materials to a thickness of 3mm using superior hot roll infra red technology giving uniform heat distribution. All temperature and speed controls are microprocessor controlled with a pre-set condition which can be manually over ridden. 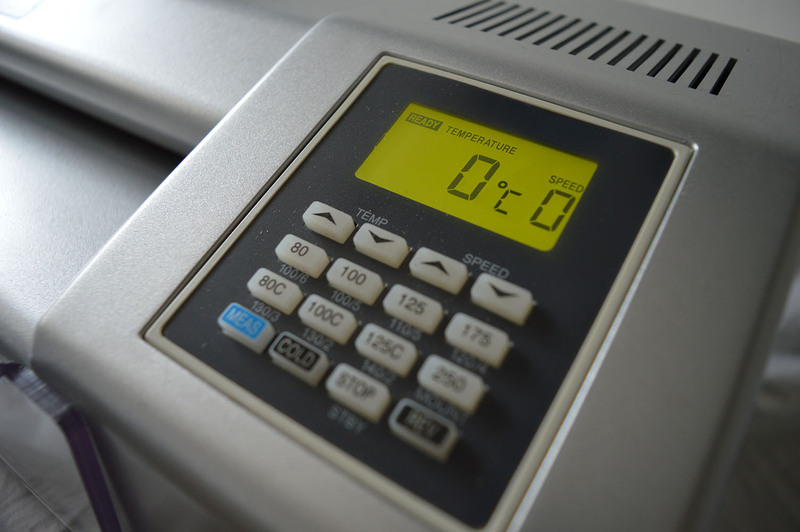 Temperature and speed number (1-6) are indicated on the LCD display. Warm-up time only 3 minutes due to the Infrared heater design which gives uniform heat distribution across the dual Fusion heat rollers as well as improved temperature control. 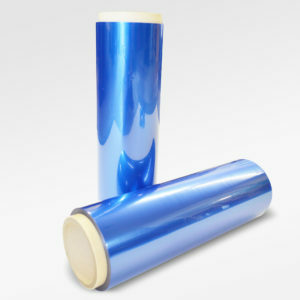 Dual Heater roller and dual pressure roller construction in high grade Silicon rubber allows precision balanced roller pressure across the full width of the panel, with automatic roller gap adjustment ensuring correct pressure for laminating panels and flexible substrates from 0.1mm up to 3 mm thick.